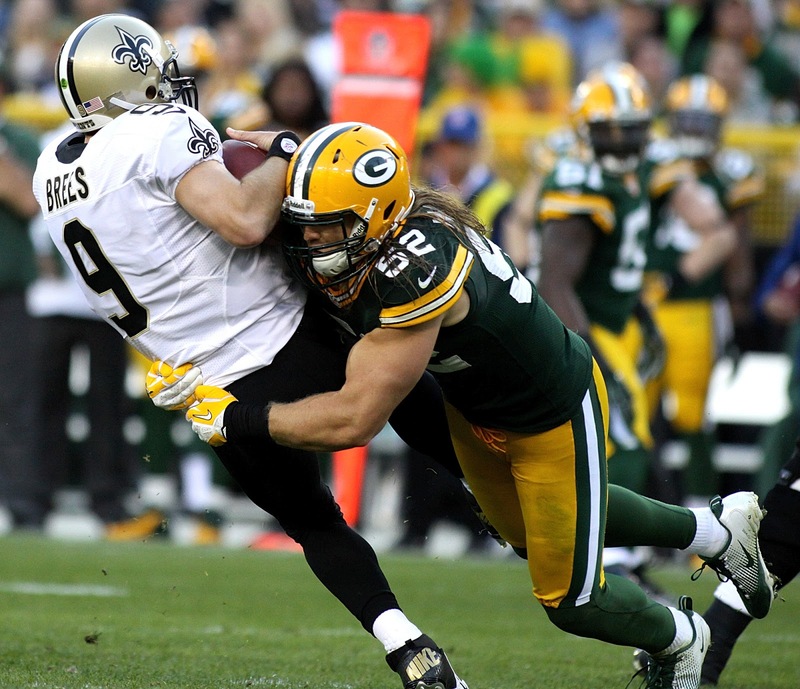 The Green Bay Packers need a lot of things to happen to improve their defense in 2014, but the most important one is having Clay Matthews play 16 games and be 100 percent healthy for them. Most of the talk this offseason regarding the defense has been about defensive coordinator Dom Capers, the weaknesses at safety and inside linebacker and the new multiple looks the Packers will employ on defense. However, none of that really matters if Matthews isn’t healthy. They cannot have a good defense unless he is on the field. During the first three seasons of his career Matthews was a healthy player despite dealing with reoccurring hamstring issues, as he only missed two games during that time period. However, Matthews has missed nine games over his last two seasons. The hamstring caused him to miss four games in 2012 and a Bennett’s fracture in his thumb cost him five games last season. After returning from the Bennett’s fracture in a cast Matthews was never the same player and re-injured the thumb Dec. 22 against Pittsburgh. The thumb injury was a freak accident that could have happened to anybody, but the hamstring will always be a concern. Matthews is the highest paid player in the NFL at his position and is far and away Green Bay’s best player on defense. He is a huge impact player and not only is he the most talented defensive player for the Packers, but he also has the biggest motor and provides the most energy. Matthews has been the only consistent pass rusher for the Packers over the last few years, as they have been searching for a legitimate running mate for him for years. They think they finally have the answer this year in Julius Peppers. Matthews has 50 career sacks in his first 69 games, despite being the only legitimate pass rushing threat on the team since Cullen Jenkins left after the 2010 season. The arsenal that Matthews possesses as a pass rusher is incredible, as he has a great combination of speed and power moves. He has great quickness off the line and the agility to dip his shoulder under the tackle to get around him. Matthews can also knock the tackle to the ground with his strength on the bull rush. Also, he excels at using his hands to get off blocks, which helps him rushing the passer and against the run. The difference when Matthews isn’t in the lineup is noticeable. The defense played very well in the first four games off last season when he was healthy except for the season opener at San Francisco. They allowed 24.25 points per game in those games, but 14 of the 34 points allowed during Week 3 at Cincinnati were because of turnovers from the special teams and offense. If you take away those point they allowed 20.75 points per game, which looks a lot better and would have put them in top 10 of the NFL if they carried it out over the whole season. Peppers should help open up things for Matthews this season, as he finally has somebody opposite him that defenses need to respect. Mike Neal, Nick Perry, Mike Daniels and Datone Jones are also talented pass rusher, so the defense should have no excuse not to get consistent pressure on opposing quarterbacks this season. Green Bay’s defense starts and ends with Matthews. They need him to be the superstar that he has been and is still capable of being for the Packers to make a run at their fifth Lombardi Trophy. This entry was posted in Matt Bove, Packers 2014 - 2015 Season and tagged Julius Peppers. Bookmark the permalink.